Batter's Up! 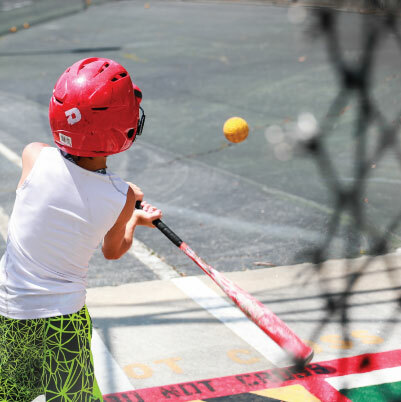 Whether you want to hit for fun or you're looking to up your game level, a trip to the best local batting cages in Norcross, located at Malibu Norcross, will do the trick! Malibu Norcross supplies batting helmets and bats, or feel free to bring your own. Malibu Norcross offers the best batting cages around! Bring the team for batting practice or come by yourself. The batting cages at Malibu Norcross are a great way for you to practice your swing and stay in the game even during the off season. Malibu's Batting Cages allow you to purchase time in the batting cages by either set amount of pitches or by cage rental time.